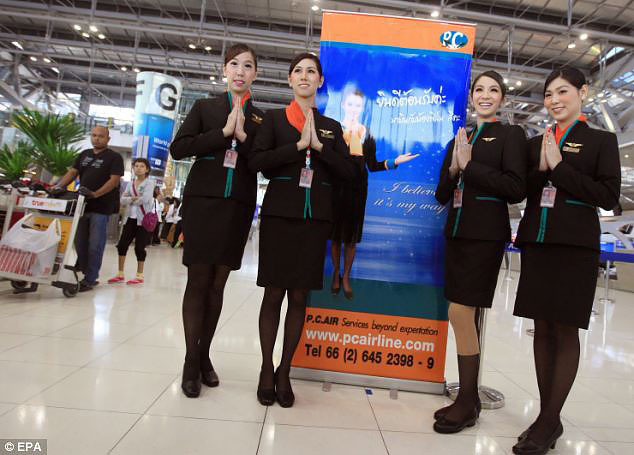 [Reuters Dec 16, 2011] - Thai transsexual ladyboys are taking to the air as flight attendants for a new airline, a move that some said could be a key step towards still broader acceptance in a nation where they are already unusually visible. Known as "katoeys" or "ladyboys," transgenders and transsexuals hold mainstream jobs in a variety of fields in Thailand. They are especially common in cosmetics shops or health stores, which almost always have a ladyboy shop assistant. 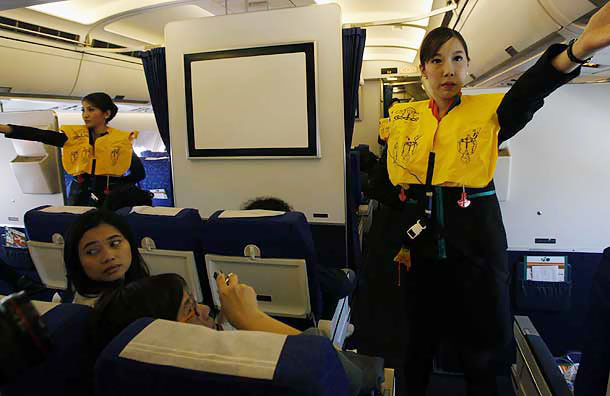 Working for new charter airline PC Air, transsexual flight attendants including 22-year-old Tanyarat Jirapatpakorn made their debut on a flight from Bangkok to the southern city of Surat Thani on Thursday, serving drinks and snacks and carrying out safety demonstrations. "This is the beginning of the acceptance of transsexuals in Thailand, giving the opportunity for us to work in various fields," said Tanyarat. "Maybe in the future we can get any job that transsexuals never did before, such as police, soldiers or even pilots." 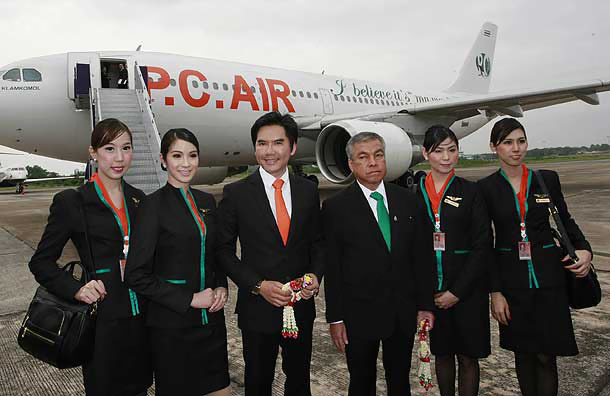 PC Air, whose name comes from the initials of president Peter Chan, originally planned only to hire male and female flight attendants, but changed its mind after more than 100 transsexuals and transvestites applied as well. 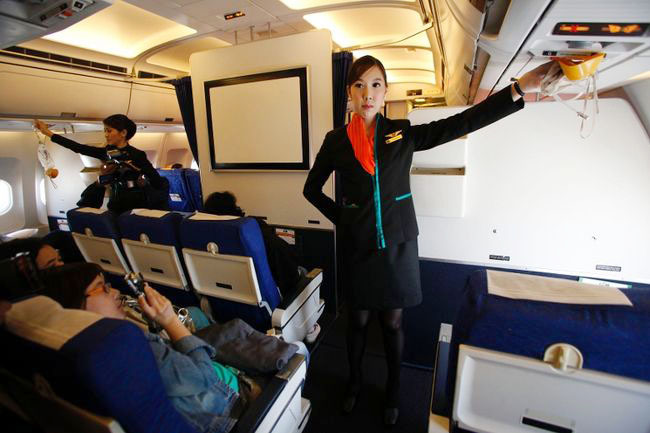 Four were chosen, along with 19 female and 7 male flight attendants. 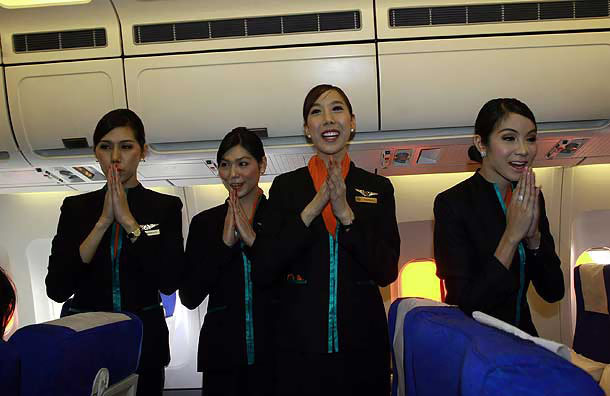 The airline said qualifications for the ladyboy flight attendants were the same as for female flight attendants, with the additional provisos that they be like women in how they walked and talked, and have a feminine voice. 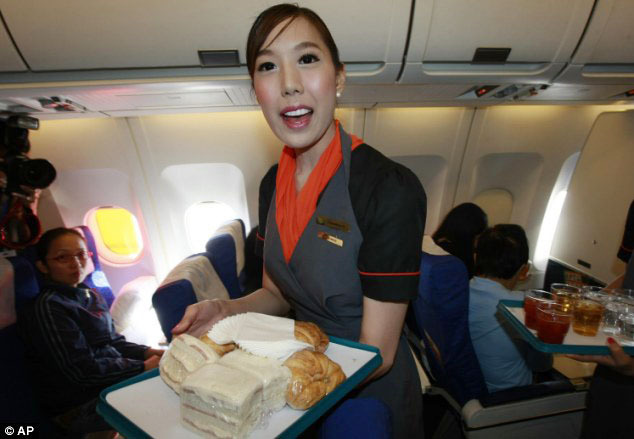 Chan, the airline president, said the ladyboy flight attendants actually might have a special advantage. "They might provide better services because they understand both males and females. 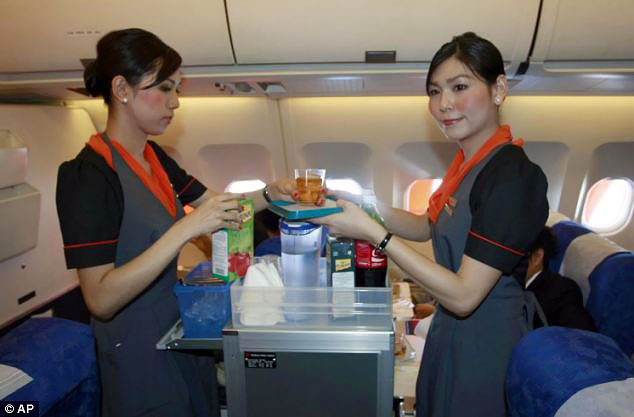 And they're well trained according to the aviation standard," he added. The new recruits were chosen in February and have been training since in security measures, in-flight services, and make-up application. 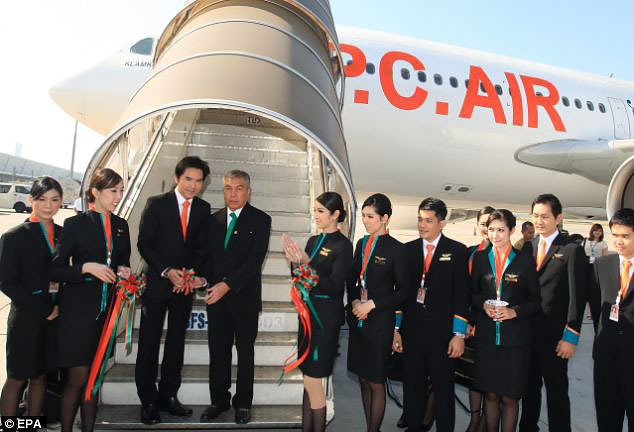 PC Air flies domestically as well as to several Asian destinations, including Japan and South Korea.